Nothing can ruin a good ride along the Great Miami River Recreation Trail like discovering midway that the trail is submerged from a recent storm. But that’s about to be a thing of the past. 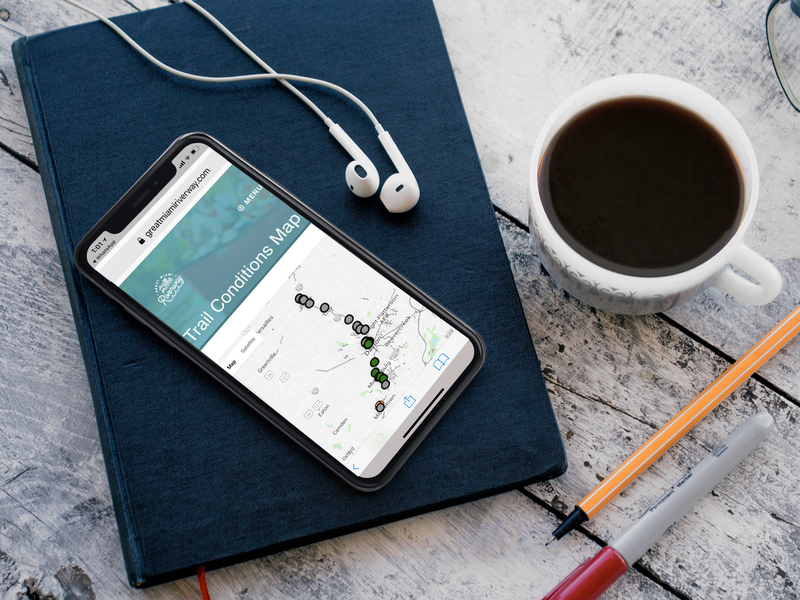 You can now Find Your Way a whole lot easier with the Great Miami Riverway’s new website, featuring a map that automatically updates trail conditions. One of the most unique features of the website is the live Trail Conditions Map. This map, developed by students in the University of Dayton’s Innovation Center, is the first of its kind. Visit most trail websites, and live conditions are manually entered. For the Great Miami Riverway, we went a step further. Trail conditions on the Great Miami River Recreation Trail are updated every 15 minutes, allowing you to check the trails before you go. The website shows high water– red (high water currently), yellow (high water in the last 48 hours), or green (clear trail). The map also shows any construction on the trail. This summer, additional sensor data will be collected to complete the live trail map for the Great Miami River Recreation Trail (Bike Trail No. 25). The gray dots indicate areas where data collection is on-going. Another great tool on the site allows you to plan and create personalized trips along this 99-mile region in southwest Ohio. There are also recommendations and curated itineraries on things to do; places to stay; and where to eat on the trail, on the water, and in our communities. This website is a key communication tool in the Great Miami Riverway regional destination marketing strategy. Riverway communities are looking at a $43 billion tourism industry in Ohio. Having a useful website is crucial to successful visitor attraction and economic development for our river corridor neighborhoods. Future website tools include additional live reporting, current weather conditions, and yes – even virtual reality. We encourage you to visit www.GreatMiamiRiverway.com to Find Your Way because there is plenty to explore. Add your events, create your own trip itinerary, list your business, or simply find a great family activity for this weekend. We look forward to seeing you at the Riverway! To be featured, use #GreatMiamiRiverway in your social media posts.